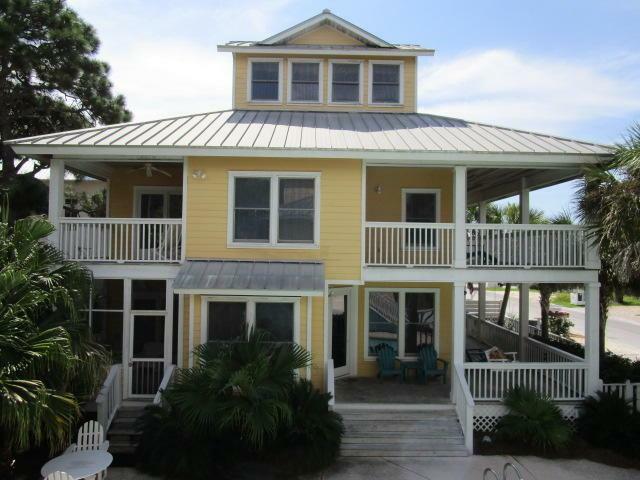 'MELLOW YELLOW' is an exclusive, one of a kind offering in Grayton Beach. 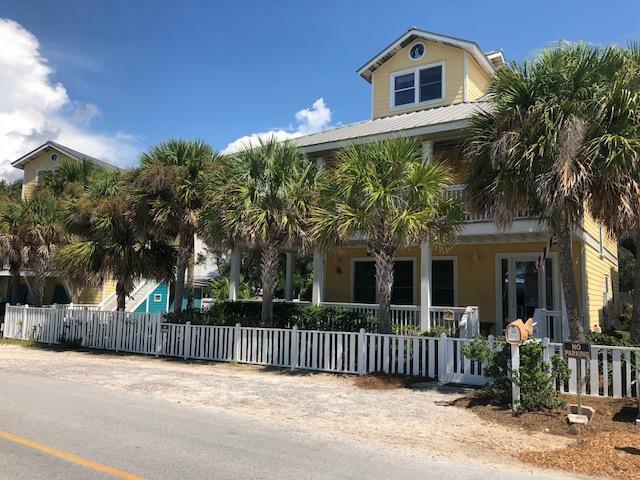 Unique lot shape and dimensions allowed for custom-built, classic Florida Cottage main house with spacious courtyard/gas heated salt water pool/patio area and a carriage house. Located the lower traffic, most desirable Magnolia Street in New Grayton. Carriage house includes a spacious 2 car garage with 1/2 BA and additional storage, convenient outdoor shower and outdoor kitchen area 'cook house' . Thoughtfully designed for enjoyment and entertaining on the sprawling pool deck and surrounding patio area, covered porches of main house. Colorful, well appointed 1 BR 1.5 BA, 864 sq' interior of Carriage house features open living/kitchen/ dining area for extended family and guests. 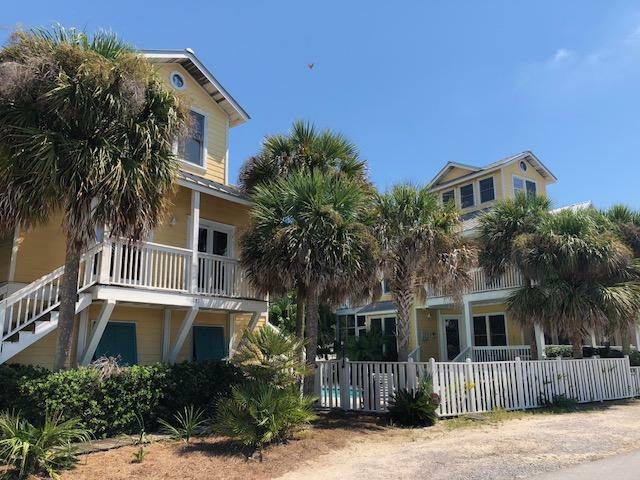 Main house is comprised of 2,605 sq4 BR - inc. bunk room- 3.5 BA's, with all BR's opening onto expansive porches across the front of the 2nd level or ground level porch accessible from kitchen and living area. 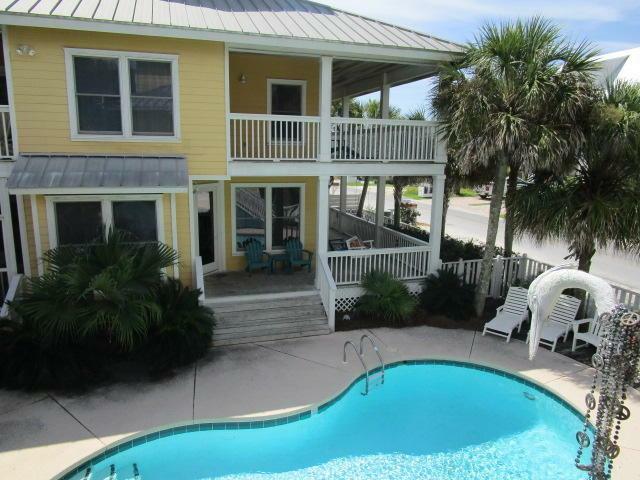 3rd floor nautical theme observation tower is outfitted as a smalL den with a wet bar providing for quiet time or TV. All within 2-3 blocks of 2 beach accesses to world renowned, state owned, undisputed public beach. Walk to the Red Bar, Chiringo, AJ's at Grayton Beach, Borago or any of the shops and restaurants in the village. Bike to Uptown Grayton, Grayton State Park, Seaside, Watercolor.